Strive Foundation Rwanda [SFR] is a local non-profit making organization. It was founded by the end of 2003 in line with the law that governs non-profit making associations nÂ° 20/2000. Since 26th/07/2000 the organization was working under the ministry of local government certification while building the organizationâ€™s capacity. On 08/02/2010 strive foundation Rwanda acquired legal personality by ministerial order nÂ°04/08.11 which was published in the official gazette of Rwanda nâ—¦ 7bis of 15th â€“Feb-2010. The organization has visionary founders namely the president of the organization, and the board of directors. SFR head office is located in Kigali Town, Gasabo district, Karuruma, Katuna-Byumba Road, with branches offices in 12 districts around the country. These include Nyamasheke, Rusizi, Ngororero, Karongi, Rutsiro, Rubavu and Nyabihu (Western province); Burera and musanze (Northern Province); Huye (Southern Province) Bugesera( Eastern)Â and Gasabo Districts (Kigali town). 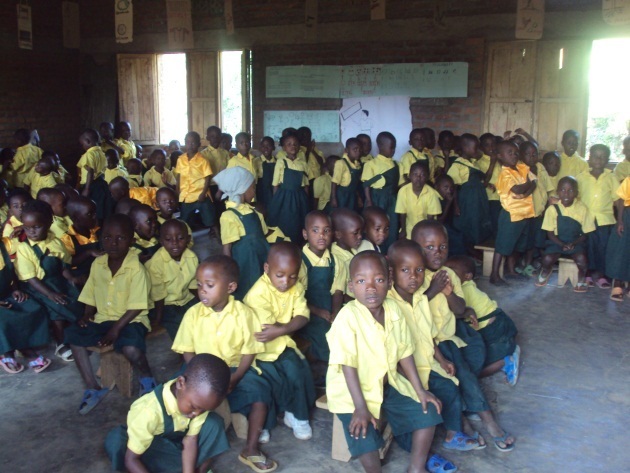 The Strive Foundationâ€™s education program is designed to promote Early Childhood and Development (ECD); support and educate Orphan and other vulnerable children (OVC); provide vocational training to youth, provide school fees, school materials and health insurance to vulnerable children. Directions to find Country Office:Â ( Kigali-Byumba Road),Â 200m from Kobil Station following the main road.